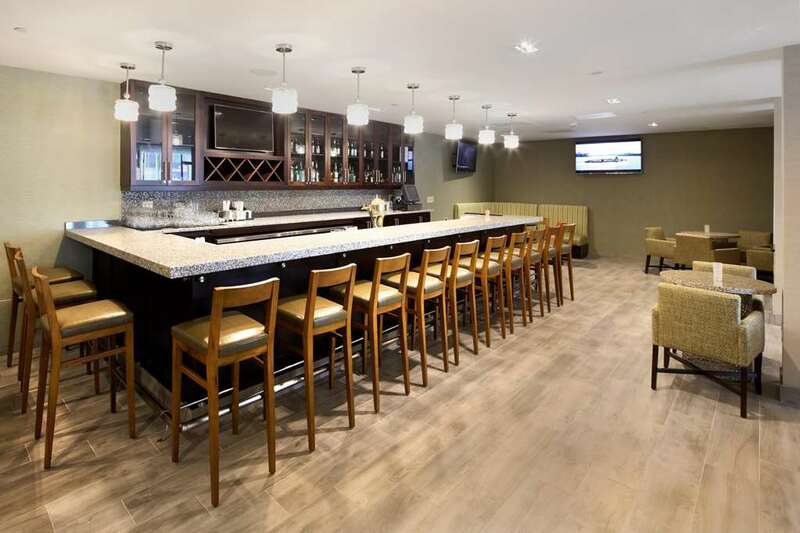 Stay close to all the excitement of Washington DC at the Hilton Garden Inn Reagan National Airport hotel. You*ll be half of a mile from Reagan National Airport and just minutes from downtown DC. Catch the metro to attractions or hop on the complimentary hotel shuttle to and from the airport. Our amenities make it easy to enjoy time in Washington DC and the surrounding areas. Start your day with your choice of a delicious breakfast options at our on-site restaurant or grab something to go from our Suite Shop open 24-hours. Get in a workout at the fitness center and enjoy the crisp morning air on our sun deck. Explore the local area with plenty of dining and shopping options as well as museums and historical monuments. Host a grand event in our space for up to 300 people in a theater style setting or take advantage of the divisible space for four different rooms. The event space is ideal for small to medium meetings.